I found the course to be challenging and rewarding. The most difficult part for me was the module 4 assignment but with my trainer's help it became manageable. My Trainer provided great feedback whenever questions were asked. I've never studied in an online format before and did so only my busy schedule allowed it. I endevour to study in a physical format. Thanks very much Teflen, I enjoyed this course very much! The experience was great, I was able to work at my own pace and I liked the grammar lesson because I was able to touch up on my grammar. The content provided for this course was very thorough and interesting. It was very relevant for an aspiring TEFL teacher and I will definitely employ what I learned here. I found communication with my trainer very efficient and he always replied almost instantly. The Lesson Plan Assignment was an excellent task in getting students to apply what they have learned in the modules. Online format was easy to follow, and great to have the PDF copy that could be read when I didn't have internet. Didn't have much interaction with trainer but did not need it. Enjoyed, thanks. Material was helpful. thank you Teflen. This was a quick, efficient way to learn the skills necessary to teach a class. I have to say that I thought that it would take at least a month or so for me to finish the 150 hours course but it actually only took like 2 weeks even though I am not studying everyday. I only find the grammar part and the lesson plan assignment to be a little challenging but everything works out fine. Hope that I can start teaching abroad soon. I really like the material, was easy to learn every step from the course. Brilliant course, I feel really prepared. The course is very well made and organised. I feel engaged in the class activity. All the materials are useful and easy to follow. At the same time, I am able to control the progress with my own pace. Teflen has really helped me to balance my life and study and now I feel confident and prepared to teach English overseas. I thoroughly enjoyed this course and would recommend it to others. The layout was easy to follow, and the response time was prompt with great feedback. I liked that the class was at your own pace and you could finish it at your leisure. A very interesting course and my trainer always answered me immediately when I did need assistance. I am glad I completed the Master course with Teflen and will recommend your College to my friends. The course was great. I liked that it is an online course. I found the course relatively easy. The grammar was more of a challenge as of course, we forget what we learned in school! But it was great revision and extension. The lesson plan assignment was good as it was a challenge. I don't think the remaining quizzes were particularly difficult, provided you read and absorb as you go. So all in all a simple and effective course. Just want to say Thank you. It was a good experience for me and I did learn much from the course. Had only one problem and that was that I tried to answer the questions to fast, making mistakes because of that. The course opened my eyes up to the vast levels of understanding and encouragement teachers need to provide for students. A good teacher assists and equips, rather then tells and shows. The course was great. I really feel like I've learned a lot, and doing it on my own time was a big bonus. The trainer was very responsive and provided a lot of good feedback on the lesson plan activity. I found the Teflen studying program effective. The online modules allowed me to continue in my daily life work commitments. Also, as there was a 1 year time frame it was easily manageable. Best online teacher training course I've ever taken. It was a very good program. I was very happy with this course. Generally very easy content to follow and understand. I did not need the help of my trainer throughout the course, but found my trainer was very proficient at getting my marks back to me in a timely fashion. Theoretically, I feel very confident about EFL teaching, now it is just time for the practical! Thanks for this great opportunity! My tutor was excellent. He offered me a lot of guidance and advice, always responded promply. I found the course interesting & manageable since I haven't studied for a while. Doing it online was very convenient & Even enjoyable. Well done! The course was easy to follow and self explanatory. My trainer was very helpful and assisted me with my queries immediately. Convenience for online work. Quick feedback from trainer. Great overall experience. Thank you for the Teflen Training College courses. Now, I have learned to effectively teach English as a Foreign Language. 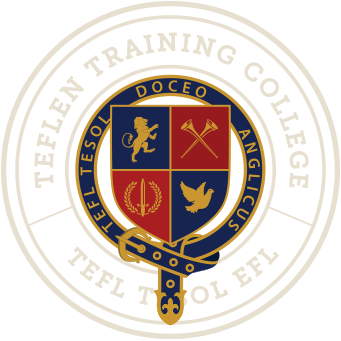 The courses are very informative, knowledgeable and exciting and I enjoyed learning with Teflen Training College online. Have a great day! I'm very glad that i have done the Teflen Master 150hr course for Tefl, I have learnt many variety formats of how to teach students in better ways and develop their skills faster in an easier way, such as reading, writing, speaking and hearing. Teflen gave me a great opportunity to observe what i needed. Teflen training course was indeed a good experience for me. As a teacher trainee, i could benifit greatly from all the courses i had through the course. Indeed, i want to thank the whole teflen administration for puting this course online and giving people a chance for a future teaching career. Overall the online course was good. It was easier than expected and I appreciate the extra attempts on the tests. I found some of the classroom information a little dull (or common sense), but I am aware that it is necessary to know these things. I think the course had good content and guided me through the subjects well, like with any study I also used other materials to gain a greater understanding of the subject. I found in the Grammar sections I used other resources to gain an understanding as some the explanations were not easy to follow or understand, saying this these are grammar points I had not looked at for twenty years! I would like to see more video content in the course, I really enjoyed seeing classes in action. My trainer always got back to me very promptly and answered my questions in depth. I found the course enjoyable and challenging. I really liked the flexibility aspect, being able to complete it on own pace. The instructor was very helpful and quick to respond. The course gives a very good overview of teaching strategies, materials, and challenges in a very concise package. The downloadable modules make for excellent reference material. Course content that touches on teaching and learning theories felt tedious and was not as practical as the rest of the course material. Some of the concepts were harder to grasp but overall, the simplified language used to explain methodologies and English teaching theories was easy to understand. As someone with no teaching experience, i feel i am equipped theoretically but I am nervous about applying this theory in practice. I hope I will be as confident as i feel i should be. This course was great! Very helpful and clear. I have done many online courses and the support from my trainer was excellent, within a day I would get a response. This has been such a wonderful course to do. It has fit in with my full time schedule well. This has really helped me with my goal of going overseas to teach English and it has given me all the resources I need. This course was clear and concise. The trainer was available all the time. The course readings where easy to follow. I enjoyed the material. Easy to follow. My Trainer was great, answers all my questions. Yes, I would recommend Teflen Training to Friends. Was challenging yet stimulating. Will definitely have a hard copy when I am teaching. I really enjoyed the course and i always received quick feedback. Great course! This was a good introduction which was what I was after. I am going to be attending a f2f tefl class in September and I wanted to know what to expect. Great Program, When I complete the program, I will sell your program to other students. Thanks. The material was well-presented and easy to follow. Great service from the Teflen Admin. I found TEFLEN to be an excellent, easy to use and efficient means of study for a TEFL Certification. I think a greater emphasize on perhaps video examples is needed and overall I think the course could be a little more challenging as I found it fairly easy and straightforward. My trainer was excellent! He was very quick in grading the assignments and his feedback was detailed and constructive. He helped me think of teaching English in a more interactive way. I highly recommend the online form of course that is best suited to full-time professionals. I want to make a special mention of my course advisor, who was exceptionally reliable when it comes to answering any queries I have and his feedback was very useful. I will happily recommend this course and college to my friends and colleagues. Thank you again for such a wonderful experience. I have been impressed with the whole process of this course, I have found it very straight forward, and well explained at all times. The information given and tested seems just enough. It will also be very useful to draw on when I actually start teaching. Where I did not need the help of a trainer that often, when I did he replied to me with in hours, with extremely helpful feedback! I will definitely recommend this course to friends. Great course, I learned a lot! I really enjoyed the course, it was very informative and easy to navigate. While I found it challenging it was a good experience. Thank you. The course was very easy to follow and understand. My trainer was excellent and provided the proper feedback that I needed to improve my lesson planning skills. Thanks! My trainer was very good, he quickly returned marks for my assignment with excellent feedback about what was good and what needed improvements. Thank you. My trainer was a very thoughtful person. The lesson plan assignment is difficult but worth working on. I really like how the course is setup. It is a good foundation course in which there is good attention to the skills orientation and reference to theoretical background. Really liked it and learnt from it. The online format is well organised and runs very effectively. Didn't get a chance to discuss with the trainer but good to know it was at hand. I think a lot of thought and expertise has gone into design and content, quite outstanding. Thanks for making the course available. Material was presented logically and simply. Feedback was efficient and clear.